I have an online subscription, am I eligible? I'm a member, but I can't see my discount at registration! Why? Can I use the discount for my online subscription? Do I get the discount if I only attend one day of an event? You talked and we listened! After many of your asked us, "Why not have an Ausmed loyalty program? ", it's finally here! The Ausmed Loyalty Program is a new initiative designed to reduce the cost of CPD for our regular attendees. Joining is easy and can be done whilst registering for an event. Upon joining, a discount of $50 will automatically be applied to the attendance cost of all future Ausmed events. The discount will generally last for a 12 month period, and will automatically renew each time you attend another event. Please note your first event will be the full price, with the discount being applied to each subsequent event while your membership is active. 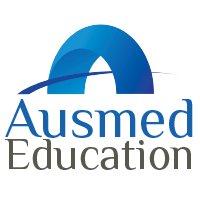 If you have recently attended an Ausmed conference or seminar (in the past 3 years) you may already be eligible to join! Click here to find out if you're eligible, or call our offices on 1300 287 633 and ask one of our friendly customer service staff to find out more. No, only those who have attended an Ausmed conference or seminar are eligible to become a Loyalty Program member. If you're interested in attending one of our events, click here to find one that fits your context of practice! You will automatically be invited to join the Ausmed Loyalty Program the next time you register for an event. If you're interested in attending one of Ausmed's conferences or seminars click here! We run events throughout the year, throughout metropolitan and rural Australia. In order for the discount to be correctly applied to your attendance cost, you must be logged in! You'll find the Login button in the top right corner of the Ausmed website. If you've forgotten your username, click here. Yes! However, we do encourage all delegates to attend both days of an event as it's more cost effective, and we believe that all the content presented is important to a comprehensive knowledge update. Your Loyalty Program membership will automatically renew every time you register for, and attend, an Ausmed event. Your membership will last for around 12 months before the discount lapses.